Landscape photography has its own set of challenges. Careful planning is needed to get good results from your landscape photography, where light, composition, framing and the equipment you use are critical to the end result. 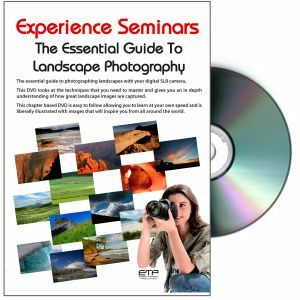 This DVD looks at all aspects of how to capture stunning images of both natural and urban landscapes. The topics covered are varied and include understanding why the right lighting is so important, framing and composition, as well as understanding how to make the most of the time you have with some careful planning. As with other titles in the series, this DVD is relevant to all EOS digital cameras.